Despite legal spats with Apple and slowing world economy which allegedly forced it to reduce its orders for Q4, HTC reported steady final results from its fiscal third quarter. Handset shipments almost doubled compared to the same quarter in 2010, and shot up to 13.2 million units, 9% more than in Q2. Revenue reached $4.54 billion, 79% more than Q3 lat year. HTC even managed to score a small increase in the average selling price of its smartphones, compared to last year's quarter, which went up to $344. The record sales and higher ASP brought on $625 million of profits - operating profit was almost 15% on 28% of gross. That number, however, was bested by Samsung for the first time, which became the second most profitable company from its mobile division after Apple in terms of margins in Q3. Now for the less dry stuff. HTC claims that it is the mobile company that ships most 4G phones than anyone else, and mentioned that an LTE upgrade cycle is due in 2012, both in the US, and in other advanced LTE markets like South Korea and Japan. Thunderbolt S anyone? What caught our attention in the press release is also the fact that China exploded 9 times as far as shipped units goes, marked by the huge success of entry-level Android handsets with sharp design like the HTC Wildfire S.
The company is so certain in its future growth, despite the sagging economy, that it has completed its new factory in Taoyuan, which has the capacity to reach 40 million units per year. HTC is obviously betting on increasing smartphone demand, and when it materializes, the capacity will be there to meet it. For Q4 the company predicts a slightly smaller number of units sold and operating margins. Recently HTC became Taiwan's most valuable global brand. It shows you that a great product with good quality, along side of Android can yeald great profits. Both HTC & Samsung are running to the bank all thanks to Android. The reason people buy HTCs is that they think they are ''high-class'' devices because of the fancy UI and innovative build. See, in terms of bang for buck HTC is near the bottom of the list, but they certainly have a way of making people think it is worth it just to have the great design and the right to display the famous flip clock on their homescreen. If u guys didn't know a thing about specs, you would all have HTCs, don't lie. so basically what your saying is HTC is the Apple of the Android world?? lol no, im not a fan of Sense, never have been. If I had stuck with T-Mobile I'd have a Sensation. It was a well built phone and Sense is a great UI skin. I've never been happy about the internal memory HTC puts in their phones, but their phones are well done otherwise. HTC makes good hardware, but they are falling behind in software upgrades and the Sense UI clashes with Honeycomb and Ice Cream Sandwich so what are they going to do with Sense? What is bad about HTC sense is that it now is holding back HTC. Honeycomb and ICS already incorporate many of the nice features that sense innovated. Now having that complex Sense UI layered on top of base android and tied into the supporting framework cost HTC months of delay in bringing out Android OS updates. They are woefully behind at this point with some of their flagship phones running Froyo and HTC seemingly unable to get updates out at all, much less in a timely fashion. 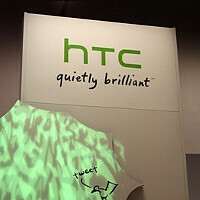 Sense was once a marketing advantage, now its become an albatross hanging around HTC's neck. Samsung and Motorola have both announced innovative new phones and tablets running ICS 4.0 HTC is still stuck on Froyo and Gingerbread, with no new product anouincements and on the verge of being left in the dust. Rumor going around is HTC might debut another UI around CES or the next Mobile World Conference. Which is early 2012. HTC might go with more than 1 UI, might not kill off Sense, just make another alternative.